Originally derived from “Diego” which the Spanish used to describe sailors in the 18th and 19th centuries, Dago, as used today is a derogatory remark for Italians. “The dago works for small pay and lives far more like a savage or a wild beast than the Chinese. Italy has millions to spare and they are coming,” an 1892 quote from Eugene Debs, founder of the Socialist Party of America. While the severity of the tone attached to “Dago” has lessened over the years, discrimination toward Italians remains. In response, the foundation published a half-page advertisement in the New York Times titled, “The Great American Roccos’ and Their Cousins.” The ad condemned Miller’s comments and highlighted significant Italian-American contributions. A week later, Miller offered a public apology to the Italian-American community. “It imputes a lower social status,” says A. Kenneth Ciongoli, chairman/CEO of the National Italian American Foundation. 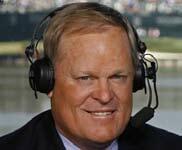 “You don’t hear the word Dago that much anymore but a recent example of this mentality is the Johnny Miller and Rocco Mediate incident. What Johnny Miller was implying when he said that Rocco Mediate could be cleaning Tiger Wood’s pool was that he had a deep-seeded, pre-judgment or prejudice that Italian Americans were at the lowest ends of the social scale. However, it is more than words that worry Italians; pictures can be equally, if not more, defining of a culture.